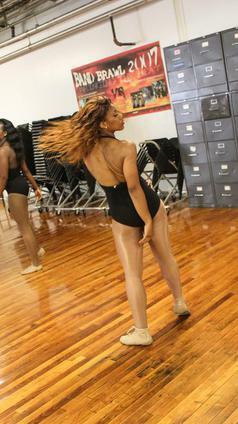 Physical fitness can make or break an audition for Golden Delight. We require that ladies have the stamina to execute the high energy choreography. Additionally, candidates should have the physique that is appropriate for revealing costumes and uniforms. What is expected and what can you do? Many ladies with experience still find the Golden Delight audition experience to be a challenging one. This is due in many cases to adapting to our style. We encourage you to watch videos of the ensemble in action as well as sign up for an audition prep clinic before attending auditions. All candidates must be admitted to NC A&T State University to audition. We have high academic standards for our members. Have you applied or been admitted to NC A&T? Do we have your anticipated major? Will your GPA and test scores secure you a favorable admission decision? Visit the A&T website to get that process started today!